Intrinsically, in countering temperature sensitivity, cold-chain has a higher energy usage which can impact the environment. It requires more involved domain & product knowledge and uses a much higher level of technology to maintain an integrated chain of custody. 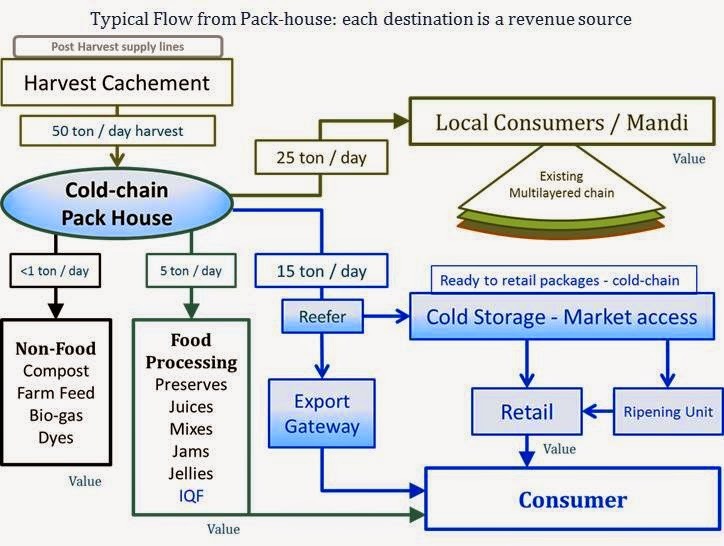 Cold-chain has a direct impact on food security as we project demand into the coming decades. Its success and impact to health is evident in the major accomplished eradication of polio in India and it implies continuance for the growth in the pharmaceutical and life sciences sectors. In the processed food and health sector, the brand owners impress upon the service providers to develop protocols and the tools while extending their reach to take advantage of market scope. In the fresh produce sector, there exists a vacuum in terms of brand ownership. Bilateral cooperation between countries must eventually translate into mutually beneficial partnerships between commercial enterprises. Cold-chain is one such industry sector that evidences long term and sustained demand and requires technically robust infrastructure and equipment as well as networked logistics, producers and sellers. A. Scale up investment in cold-chain industry: The projected investment in India’s cold-chain is estimated at USD 15 billion in coming 5 years. This demand translated into refrigeration, insulation, monitoring tools, refrigerated transport and allied capital goods and services. Most of these technical components are imported, but can be manufactured in India. There is clear scope to cooperate and promote the setting up of manufacturing plants for cold-chain goods in India by US manufacturers. In setting up manufacturing base in India such companies would benefit by the ability to tap into current demand with a shorter lead time, in lowered freight & manufacturing costs. These units would be well placed to serve as a regional base for similar demand in neighbouring SAARC, Africa and other regional markets. Special incentives to facilitate such units can be considered between India and US. Solar Power application and innovation in cold-chain: India and USA are global leaders in application and development of alternate/green energy technologies. Application of solar thermal and solar photo-voltaic energy in cold-chain, specifically in off-grid or low-grid rural areas (hybrid systems) is necessary. This can manifest as small clusters of solar powered cold rooms, appended with on-grid pre-coolers and manually operated pack-houses. A cluster of such solar powered modules would ably serve as aggregation hubs and mini-collection centres. This will lead to the greening of the cold-chain, in line with future trends and bring market diversity and improve Farm-to-Market links. C. Jointly Develop a Centre of Excellence in post-harvest/market linked supply chain: To enhance bilateral cooperation, both countries can jointly fund and develop a centre for perishables supply chain in alignment with the new FDA Food Safety Modernisation Act (FSMA). The centre can demonstrate live equipment and/or models promoting the concept of a modern farm to market supply-chain, build a library for knowledge dissemination, investigate & promote new technologies (traceability, packaging) and promote energy efficiency for lowered environmental impacts. D. Refrigerant control in cold-chain: India is required to phase out the production and consumption of Ozone depleting HCFC gases (signatory to the Montreal Protocol) starting with a freeze in 2013, 10% reduction by 2015, 35% by 2020 and 100% in 2030. The US has advanced timelines and already commenced the phasing out of HCFC already having made intentional venting, non-reporting of leakages or repairs, etc. illegal. 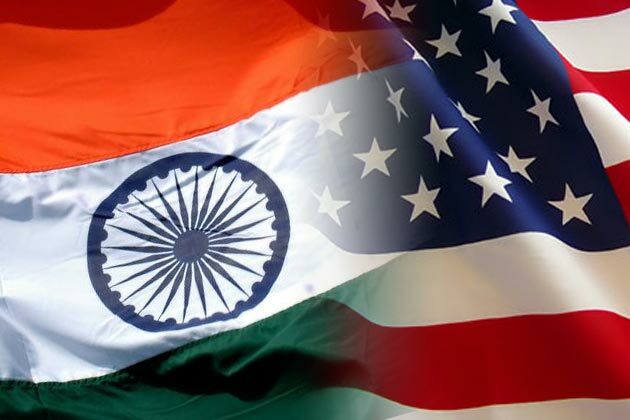 For the final phase out, USA and India can arrive at a bilateral arrangement to facilitate the controlled phase out of these gases in the cold-chain. E. Developing the First Mile: The demand-supply gap in India’s accounted for, and required cold stores is phenomenal and large enough to affect handling norms which impacts the country’s food safety and health guidelines. The agri-based cold-chain deployment also suffers from not having any significant back end or farm gate initiators of cold-chain. The large storage capacity, primarily comprise the middle link of the chain, with little presence of pre-coolers and pack-houses as first mile aggregators. FDI in retail requires investing 50% of capital spend on such back-end infrastructure. Plans for bilateral cooperation in facilitating existing government schemes to develop these first mile centres can be instituted so as to aid US companies that wish to take advantage of FDI norms in retail or the 100% FDI norm in cold-chain. 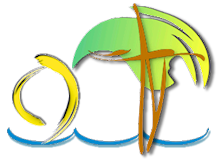 All of above collaboration items are targeted to promote scientific application and innovation in post-harvest agriculture & cold-chain sector; and to develop upon the roadmap of an environmentally conscious and sustainable food chain network.